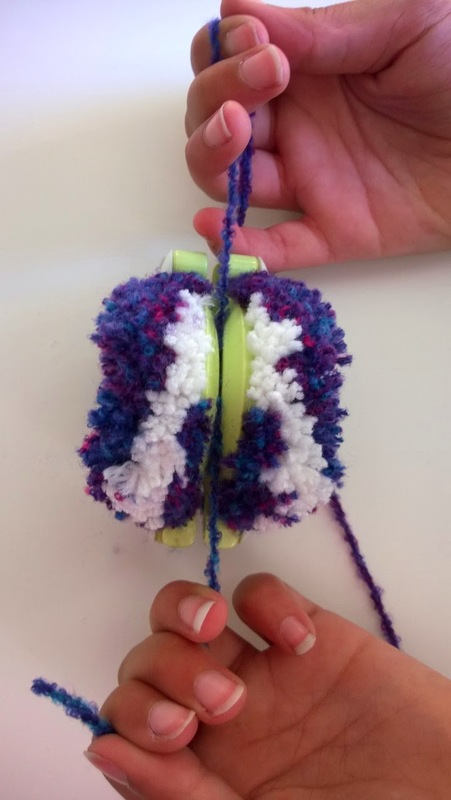 Soft pompoms are fantastic toys for tiny hands to make. 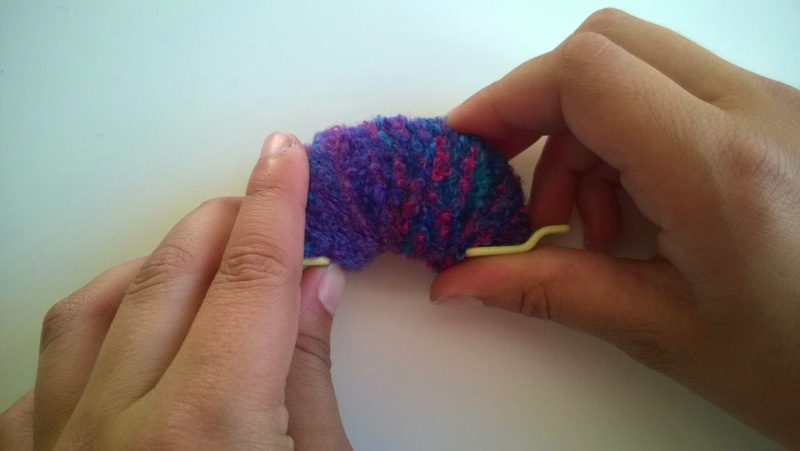 Today the tiny hands in my house made this Ramadan Crescent Moon Pompom. 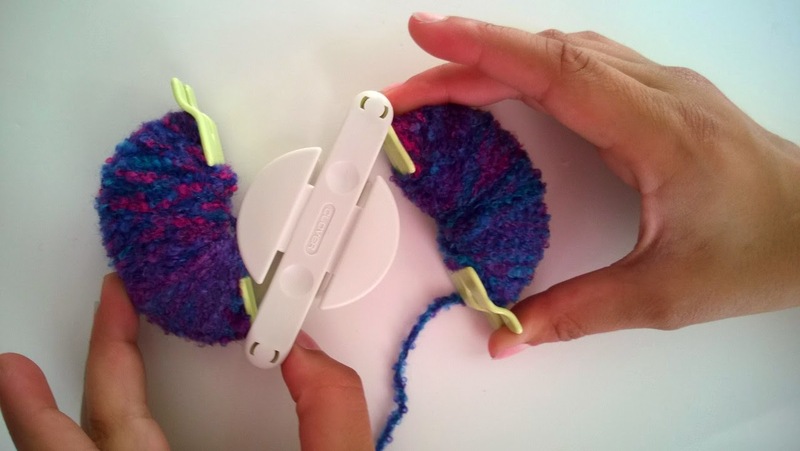 We used a pompom maker but you can also use cardboard to wrap your yarn around. 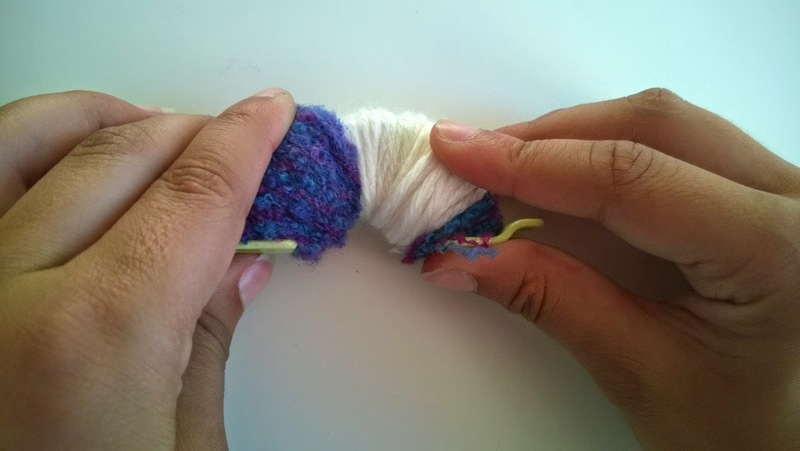 This pompom has four layers in it and you’ll need to count as you wrap. Start by just holding down the end and wrap. We never tied anything except the every end. Wrap the blue about twenty times, then white around 30 times and the final blue should be about 45. Then wrap the blue about 30 times, white about 20 times blue for 5 and then white for three and the final blue is five. 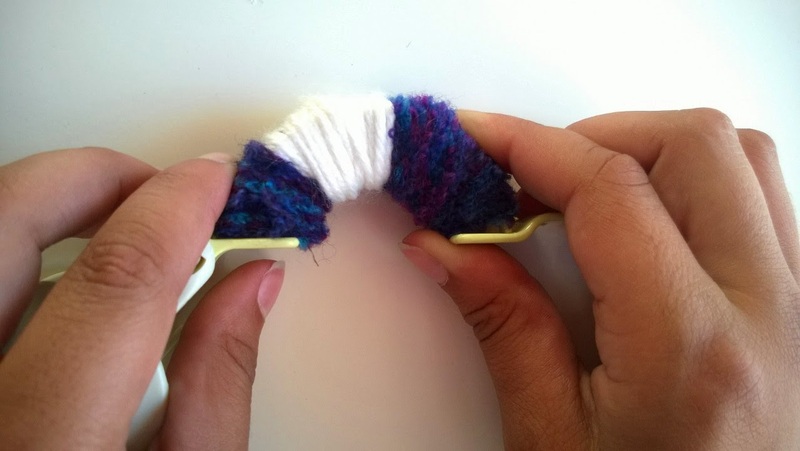 For the next layer, wrap the blue about 40 times and the white about 30. Wrap the blue about 50 times all over. Wrap the second side in all blue. 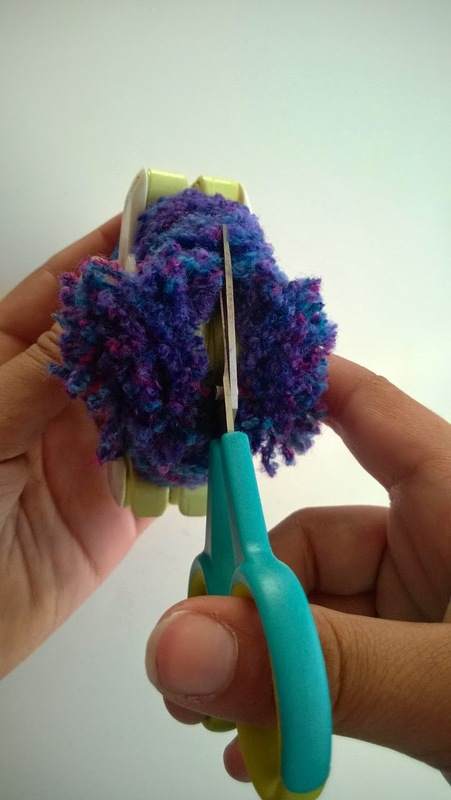 Close the pompom maker and cut along the outside edge. 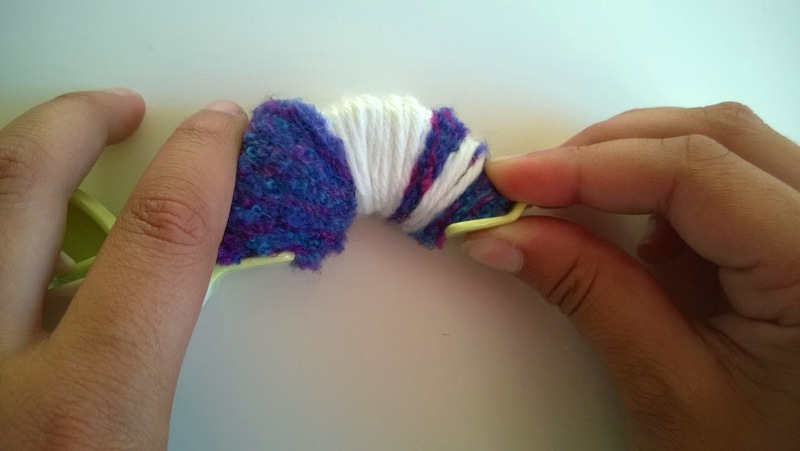 Take an extra piece of yarn and wrap it around the inside about 3 times. 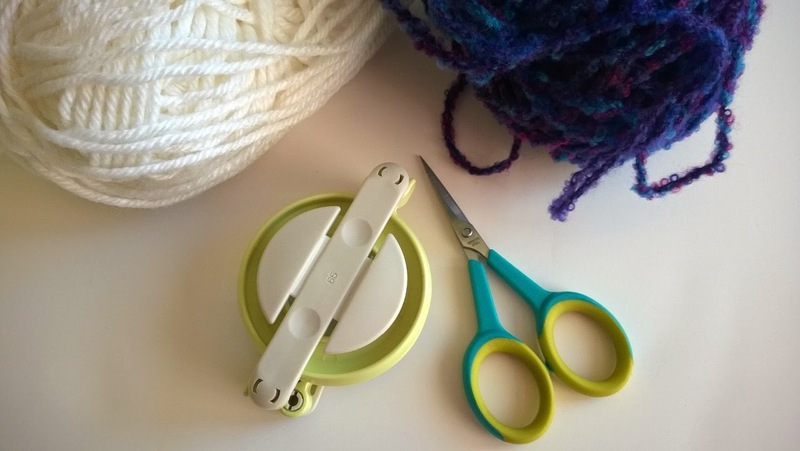 Open your pompom maker and fluff out your pompom and trim any extra pieces. 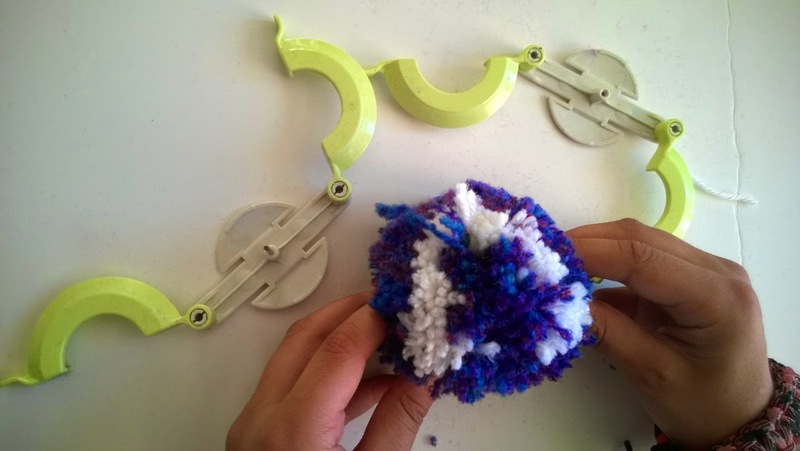 Check out these other pompom crafts to try. 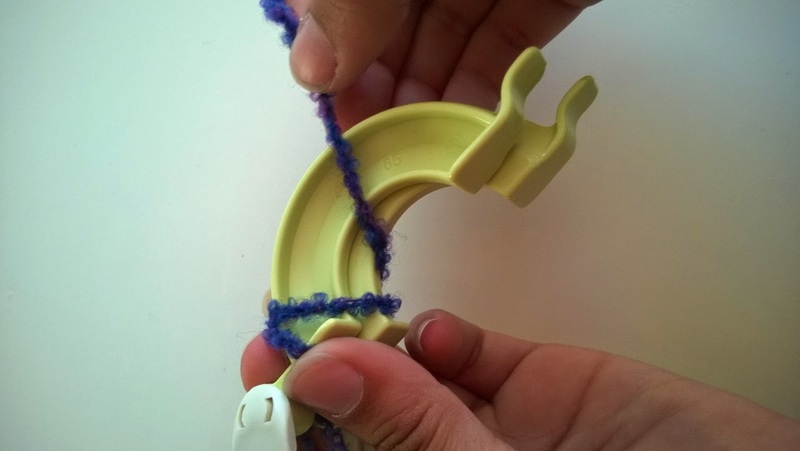 Visit A Crafty Arab on Pinterest to see more tutorial that teach about the Arab world.